Coolsculpting® is a leading non-invasive fat reduction treatment. It is an exciting and innovative way to contour your body by safely delivering precisely controlled cooling to target unwanted fat. Even wearing your favourite outfit can feel off-limits as stubborn fat can be resistant through diet and exercise. Whether you are looking to enhance your body shape, get rid of stubborn fat or just want to look and feel comfortable in your clothes, Coolsculpting® could be the answer for you. Coolsculpting® selectively targets and freezes the fat cells at a low but controlled temperature, gently and effectively, underneath the skin whilst leaving the surrounding tissue unaffected. The treated fat cells are crystallised (frozen), then are killed off. Over time the body naturally processes the fat and will eliminate the dead cells, revealing a more sculpted you. A result driven procedure that is a safe alternative to liposuction and involves no surgery, no anaesthetic and minimal expected downtime. CoolSculpting® is the latest fat reduction technology recognised and approved by the FDA experts themselves by utilising controlled cooling of the tissue and is the only technology on the market that is able to freeze to the very low temperature that it does. It also has a patented safety mechanism that detects the temperature so that way the patients are not over treated or under treated. After years of research and clinical studies, CoolSculpting® has been perfected. I has been scientifically backed up and proven. Working with the principle of Cryolipolysis – which is freezing the fat cells, causing them to die and eventually be eliminated out of the body through its natural lymphatic process. This means CoolSculpting® does not alter the body’s natural systems to get rid of fat, but works effortlessly to achieve this goal. For more information on the benefits of CoolSculpting® or to book a consultation, call 01223 214 960. AM I SUITABLE FOR THE COOLSCULPTING® PROCEDURE? CoolSculpting® can be performed on the flanks, abdomen, thighs, bra rolls, back rolls, under the buttocks and can also reduce the appearance of a double chin. The CoolSculpting® procedure is not for everyone. You should not have the CoolSculpting® procedure if you suffer from cryoglobulinaemia, cold agglutinin disease, or paroxysmal cold haemoglobinuria. The CoolSculpting® procedure is not a treatment for obesity. A full assessment will be made by your CoolSculpting® practitioner and we will work with you on a treatment plan that is tailored to your body’s needs. With different applicators to choose from, your practitioner can design a treatment plan to help achieve your desired results and eliminate fat where the bulges really bother you. 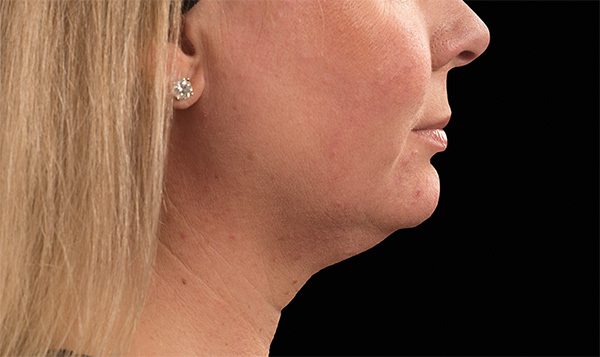 Mr Tariq Ahmad is a leading Cambridge plastic surgeon who offers the full range of cosmetic surgery procedures for the face and body and can advise you whether liposuction or other body reshaping surgical procedures may be more appropriate. The CoolSculpting® device is placed on the target area and the cooling process begins. Initially, there will be a feeling of pressure and intense cold for a few minutes but this will dissipate. Some patients report a pulling or tugging sensation and a feeling of numbness, but the treatment is usually well tolerated and most will watch videos, read, work or even have a nap during the procedure. After your procedure you may have temporary numbness in the treatment area and it may appear red, swollen or bruised, but typically this is a very safe treatment with few side effects. Usually you can return to your normal daily activities immediately after treatment. Over one million CoolSculpting® fat reduction procedures have been performed worldwide and it has been proven to be gentle, safe and effective. WHEN SHOULD I EXPECT TO SEE THE RESULTS OF MY COOLSCULPTING® FAT REDUCTION TREATMENT? 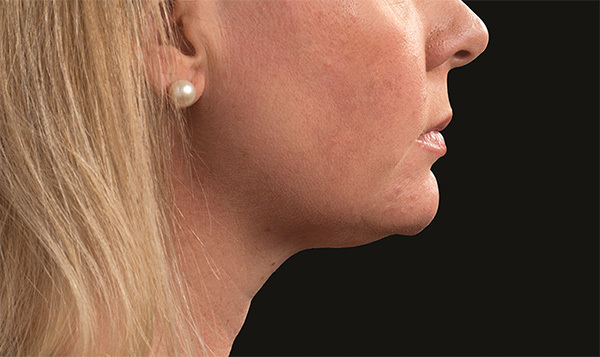 Results should be noticeable as soon as a month after your procedure with the most dramatic results after two months. However, your body will continue to eliminate the frozen fat cells for up to six months post procedure. An individually tailored treatment programme will be devised in your consultation with your practitioner and we will advise you on how many sessions you may require to achieve the results you are hoping for. Does it work? Is it permanent? The human body contains the same amount of fat cells as the day you were born. Fat cells expand and contract as an individual gains and loses weight. CoolSculpting® allows us to permanently destroy fat cells. That is why the results are long-term. Once the treated fat cells are gone, they are gone for good. Untreated areas will have no change in fat cell distribution. The price for CoolSculpting® procedures varies depending on your areas of concern, the number of treatments needed, your ultimate goals and budget. It may take as little as one clinic visit with a follow up to achieve your goals.